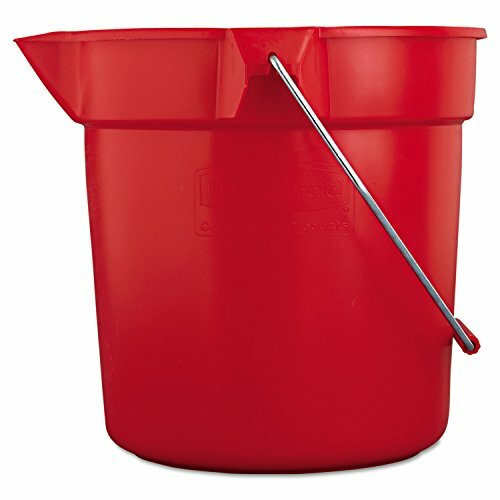 The Rubbermaid Commercial Products BRUTE Bucket allows you to easily transport liquids. The corrosive-resistant bails with sturdy, plastic-grip handle makes transport simple. Capacity Range (Volume) [Max]: 10 qt; Diameter: 10 1/2"; Material(s): Plastic; Color(s): Red.